A captain in the royal elven guard. She is an accomplished warrior but at times her extreme affection for the queen can be a little much. She's supposed to paralyze. Intern-kun made another boo-boo. Ateam really just doesn't like global players imo. 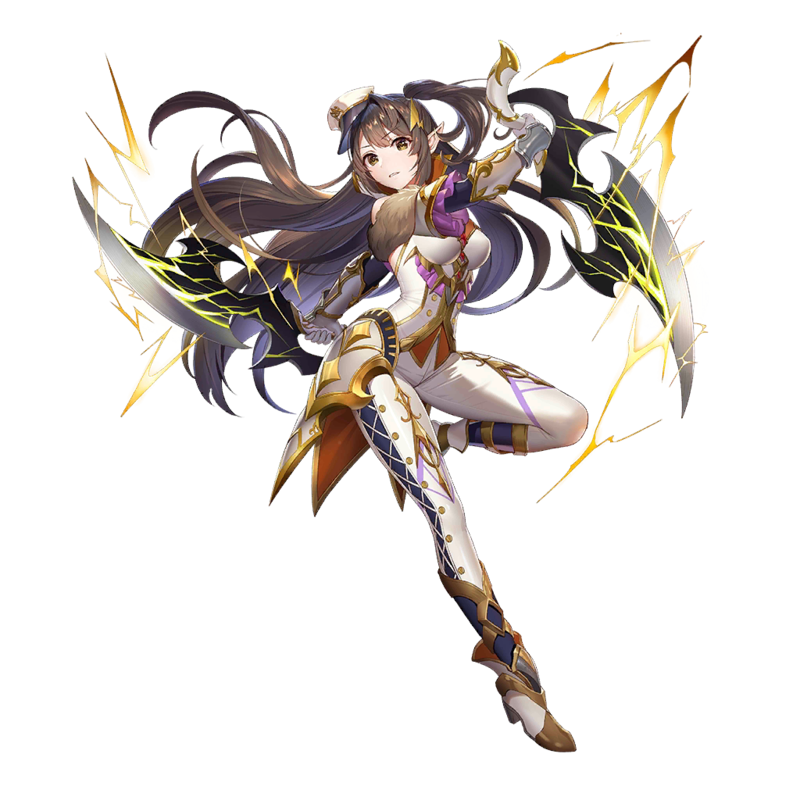 No she isn't nerfed, if you check her skill in the other languages on valky you'll see that it's only english that's screwed up. 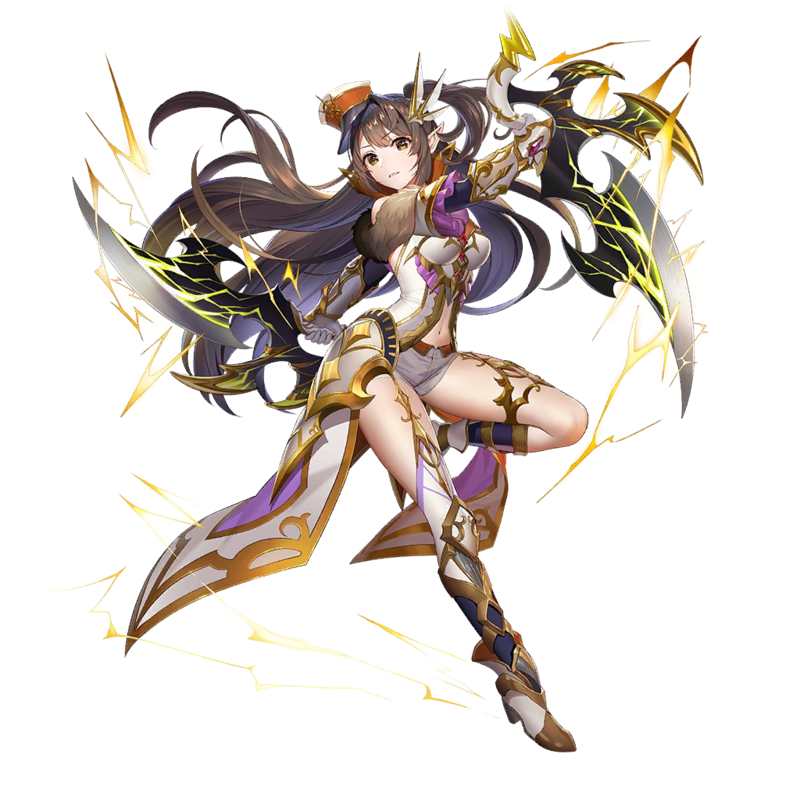 I pulled her last night and just confirmed that her action skill still paralyzes. I really want her, haha. I got Helblindi instead! She seems fun to tank with in arena!